Angee Johnson, Taste of SLO Walking Food Tour founder/tour guide is a gem! She’s a lifelong best friend, and she’s super FUN – just the type of person you’d want to show you around town. 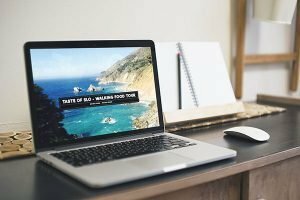 I’ve had the pleasure of touring SLO with Angee, and would highly recommend going on a tour with her if you’re planning a visit to the Central Coast of California. You’ll have a super fun time laughing, eating, and drinking your way through downtown San Luis Obispo, all while learning about this unique city. 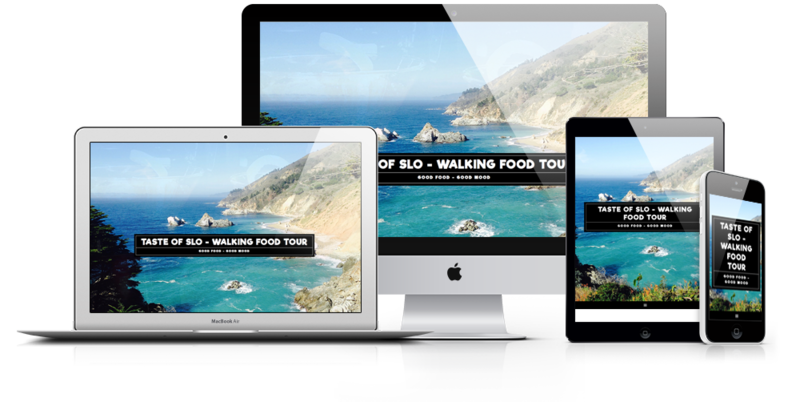 Her website serves to provide information to tourists and locals about the unique tours she offers, purchase tour tickets, effectively communicate travel (and food) advice/tips through her blog posts, connect visitors with her social media accounts, and connect with visitors through her contact form and email opt-in.